Sarco has manufactured BSI Kitemark Quality Gas Bags for use in Gas Distribution & Storage Networks in the UK and around the world for over 40 years. 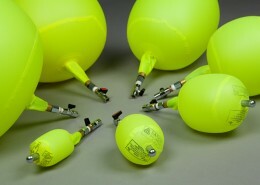 We have been manufacturing Gas Bags for the UK and Gas Distribution Networks around the world for over 40 years. Our Gas Bags are often used in WASK’s 312 Launching Equipment and help to ensure that the gas mains can be safely worked on while maintaining customer supply. 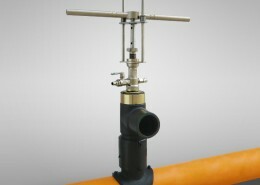 Our Bagging Off technology for the UK Gas Sector was developed by Sarco & British Gas in the early 1970’s and along with the WASK Launching Equipment has delivered a simple, safe & low cost flow stopping system which has also been adopted in many countries. The Sarco ‘Resistra’ Self Centring Gas Bag is the only Kitemark and WASK approved bag, which have been the bag of choice for over 40 years on the UK low pressure gas distribution network. 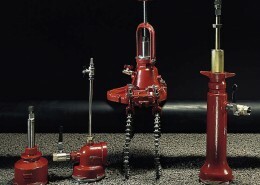 In recent years Sarco has pioneered the development of higher pressure stoppers and multi Service type designs to aid performance, pipe inspection and testing techniques. The Sarco ‘Supra’ higher pressure bags as well as new designs & constructions are meeting the increased requirements of the gas industry. Twin Bagging sets with Multi Service functions have been used extensively on all UK LNG tank farms and others overseas in the live replacement work for tank valves which meets stringent requirements of the UK Health & Safety Executive. Sarco has approvals from many National Gas Companies around the world including Hong Kong & China and Gazprom While also being a member of IGEM to help further promote its commitment to improving innovative product development within this sector.